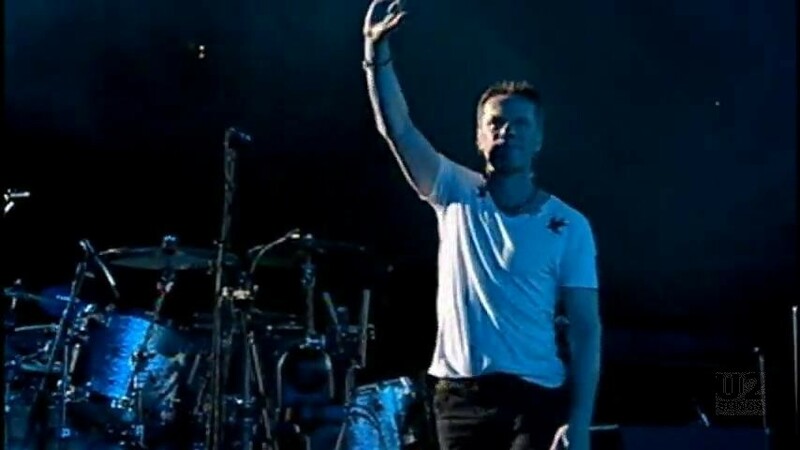 This was the second video released for “I’ll Go Crazy if I Don’t Go Crazy Tonight” following shortly after the release of the animated video. This version was directed by Alex Courtes who also directed a similar piece for use in the Blackberry advertisement campaign. 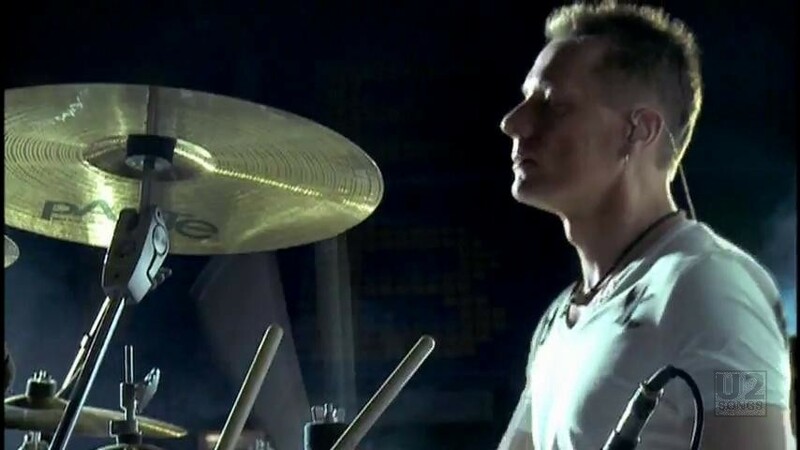 This video was made up of footage of U2 performing the song live in concert filmed during the July 2, 2009 concert in Barcelona Spain, with close ups filmed during rehearsals in Spain. The video uses the “Single Edit” of the song, as opposed to the animated video which uses the album version of the song. The audio is mixed with crowd noise at the start of the video and again at the end. 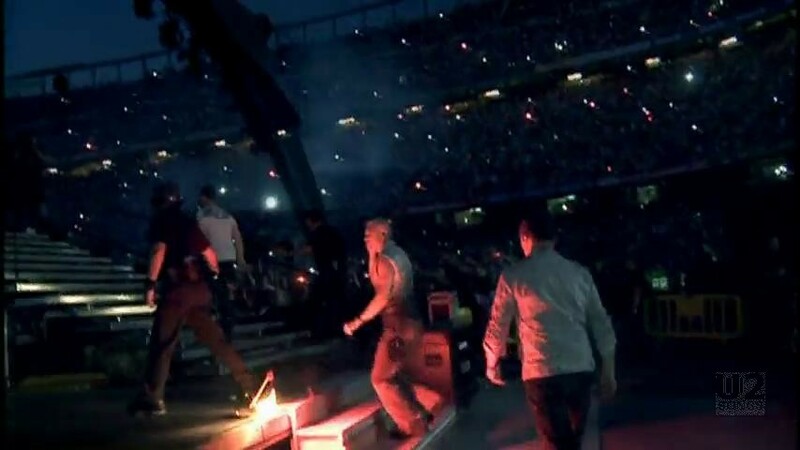 The video opens with a shot of the crowd in Barcelona cheering on the band. 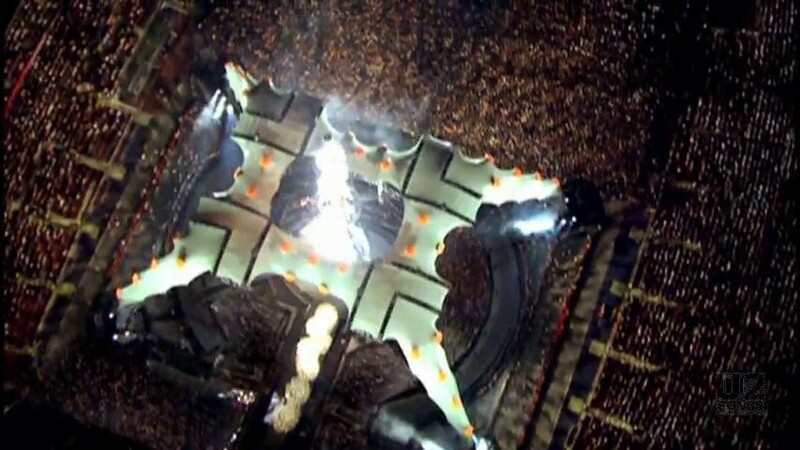 We then see an overhead shot of the claw, and the band walking out onto the stage in Barcelona. 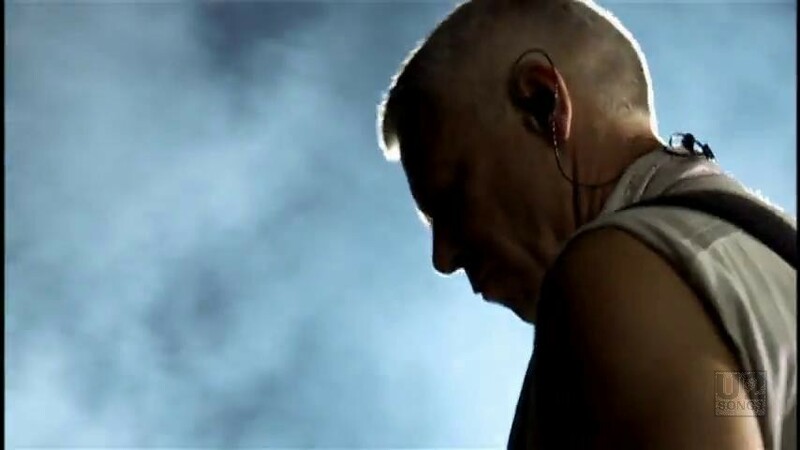 The remainder of the video is all performance, although it does make use of a variety of moments throughout the show, not just the performances of “I’ll Go Crazy if I Don’t Go Crazy Tonight” as we see footage of them taking the stage during “Breathe” and leaving the show at the end of the night. 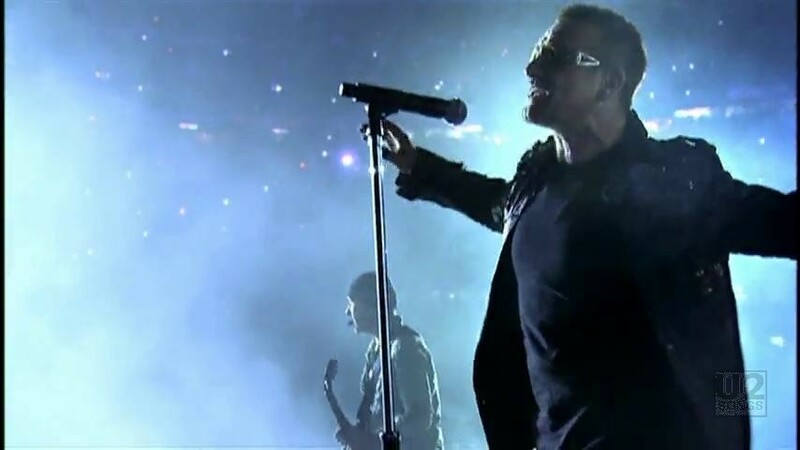 During the U2360 tour, U2 were playing a very different version of “I’ll Go Crazy if I Don’t Go Crazy Tonight”. The song was heavily remixed and would not have matched up well had it been filmed for the video. 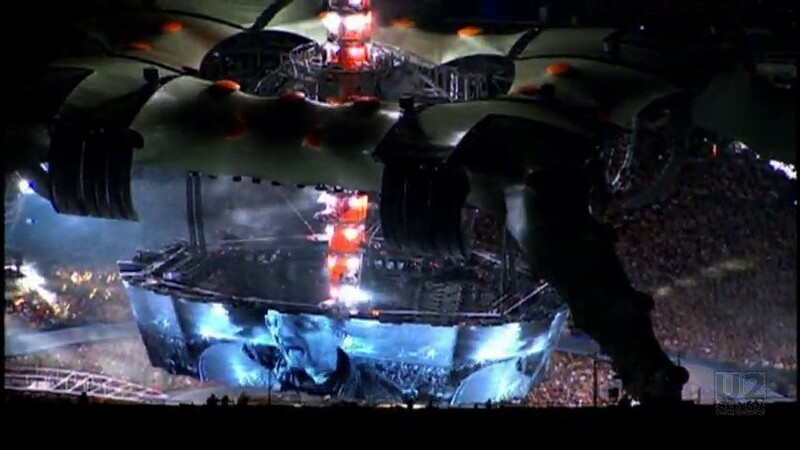 On the second night in Barcelona, when U2 were filming this video, they played the typical remixed version, but that night they also played a second version of the song, a more traditional version of the song, which is seen here in the video. As fans entered into the concert they were given small hand outs notifying them that a video was being filmed and that they would possibly appear on camera. The video was first spotted online on July 27, 2009, just a few days after the animated version appeared. It was made available for download when fans bought certain formats of the “I’ll Go Crazy if I Don’t Go Crazy Tonight” single in September 2009.